It's been a month of flaggy heartbreak as the field of 56 flags of U.S. States and Territories has gradually been winnowed down to two. And today, they go head to head. Our contestants for the national title are 1) New Mexico, which took out Ohio easily in the semi-final matchup, 20-5. 2) Maryland, which survived a tough fight against Tennessee to come out on top, 14-11. They're bright! They're vivid! And they're going to the mat. Votes will be counted at 6 p.m. PDT on Wednesday, March 30. Place your votes in the comments! So, am I good at picking the losers, or what??? Glaringly yellow, but better than MD--which I suspect you of favoring, as it was a top-seed. OH well. New Mexico. Maryland has gotten this far for being distinctive, but New Mexico has the benefit of being much simpler and pleasing to the eye. New Mexico's elegance vs. Maryland's majesty. And I live in Maryland. Ahahahahahahahahahaha I make funny joke. NEW MEXICO is my vote. I continue to champion the merry flag of Maryland. Gee, I turn my attention away for a week or two only to find that the ugliest flag in the union has made it into the national championship?! New Mexico New Mexico New Mexico. 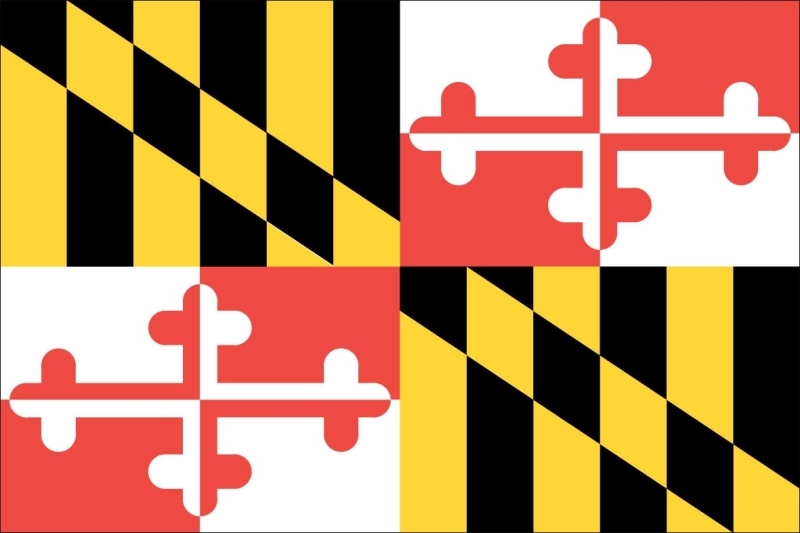 I still really like Maryland's flag, though you have unconscionably not presented it in all its multi-hued/patterned/themed glory (at least in my browser window). 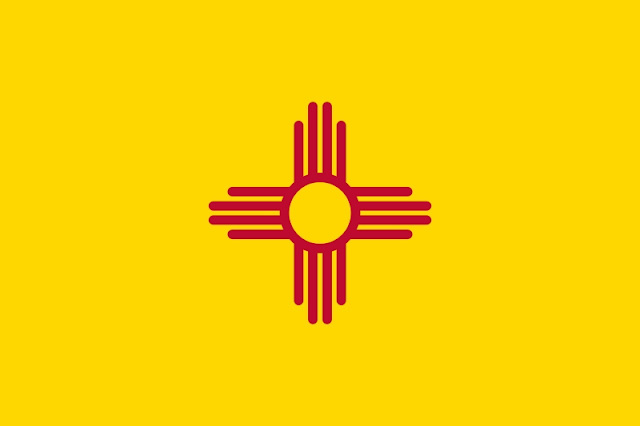 New Mexico, while simple and distinctive and meeting all of those other flaggy flags, just doesn't seem very interesting in comparison. Plus Maryland would make an AWESOME quilt. Elizabeth: Let us move on to a discussion of price! New Mexico over Maryland. I can't believe Maryland made it this far! Ahhh! It burns! I understand that the people have spoken so we can't have Tennessee back, but did you have to make Maryland so big? since colorado lost so early (what?! i don't even. ), i gotta vote for new mexico. New Mexico, hands down! Boo to Old World heraldry! Maryland would make a fine quilt. Or even a jazzy pair of boxer shorts. But you don't see other states running their dirty linen up the flagpole, do you? I've been a minimalist since I was a little kid. I remember my mother quailing at a photo spread of Trudeau's decorating job at Sussex Drive that I thought looked awesome. It wasn't bright yellow though. Or on the other hand it was the seventies. It might have been. Crap - I think I missed the deadline! New Mexico for what it's worth.